Have fun where the trophies run. Hog walleye migrate and school up in the central basin. As summer rolls on, warmer water temperatures force the larger fish to seek a cooler and more comfortable thermoclime which is found in the 70 ft. plus waters of the Central Basin. 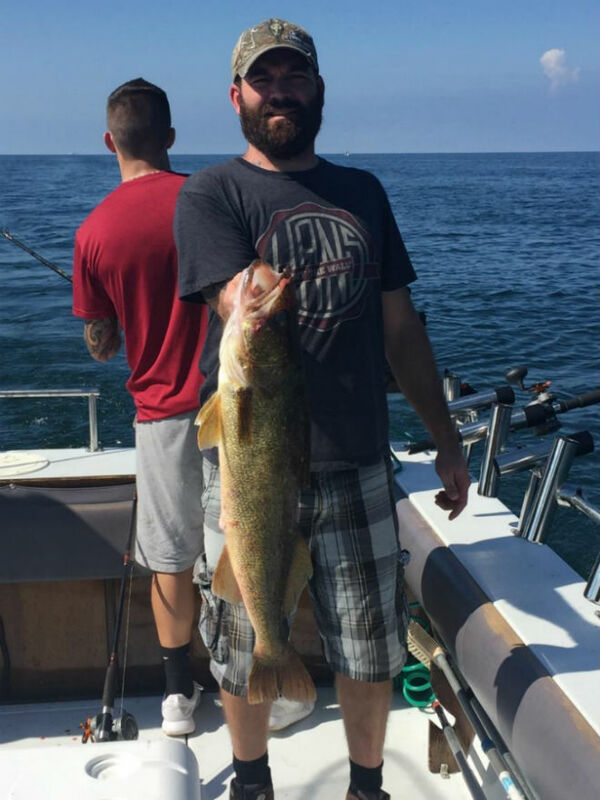 Catching these large hog walleyes makes every trip memorable. Wall mounts and Fish Ohio Awards are common. Four-Aces is a 30 ft. Sport Craft Coastal Fisherman. The boat design is perfect for summer trolling on Lake Erie. A comfortable but smaller hard top leaves you with more open area at the back of the boat with plenty of room for trolling, reeling and netting fish. No reaching over or standing on top of each other. More room at the end of the boat is hard to beat.